We’re going to get this out of the way right at the start……… The Papini polo shirts range isn’t the cheapest one out there. If price is what’s really important to you we’d recommend something else! 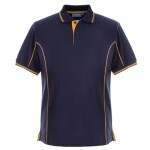 So, Why do we recommend polo shirts from the Papini range? The answers simple, in our opinion they offer the best balance between quality & the price that we can offer. Papini use a 65/35 Polycotton mix which gives a hard wearing reliability to your garments. The fabric is treated for anti pilling (balling) & is produced with spirality control to hold it’s shape. The twin decorative stripes look appealing on the rib knit cuffs, but come in to their own on the collar where they strengthen the fabric meaning when you’ve washed your polo shirt a dozen times you don’t end up with a wet lettuce leaf effect of a curled collar. Want to see what it’s like with your logo? Decorate yours now! The fabric is reactive dyed to preserve colour wash after wash. If you look after your polo shirt and follow the washing instructions you’ll get a great look & a long life for your money. Now for us, the good part…….. Papini use a really tight pique knit on their fabric, It’s great for embroidery as it gives a really stable base to put your logo on to. In addition they have a resin coat to provide extra stabilisation (it washes out during your first wash cycle) so even an intricate logo design will hold it’s shape. Size Range: Available in adult sizes from XS (32″ chest) up to 4xl (54/56″ chest) in most sizes (some of the less popular stop at 3XL or 2XL) as well as a complementary childrens wear range. Colours: Currently available in 21 different colours. 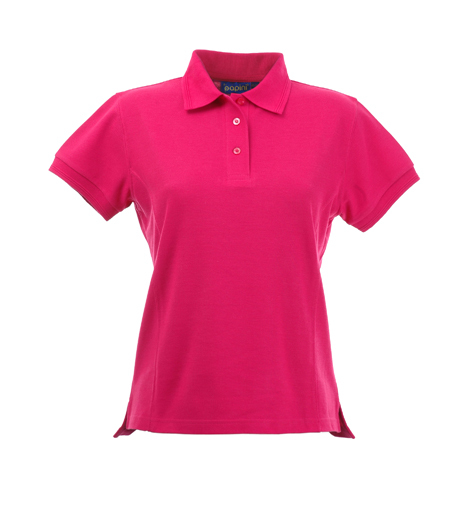 Ladies fit: As well as the unisex fitting, Papini also offer a ladies specific fit polo shirt in 6 colours (white, black, navy, soft pink, fuchsia & sky blue). The ladies fit features a 3 button placket as well as princess detail seams to enhance the look of the garment. 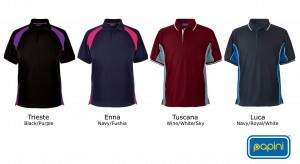 Also included is an open, vented, hem allowing Papini ladies polo shirts to be worn comfortably outside of trousers. 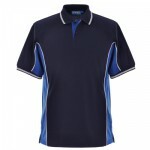 The Elite Range: As well as the standard range of single colour polo shirts Papini produce the elite range. 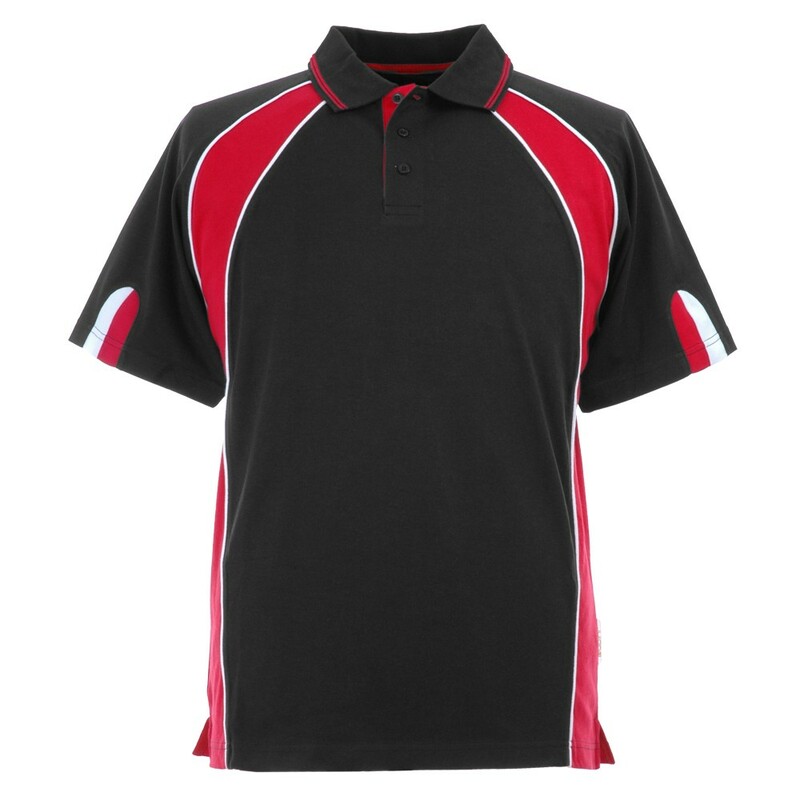 They’re in contrasting colours & styles & as well as adding a bit of individuality to your workwear & staff uniform range they’re an outstanding choice for clubs, teams & societies who are looking for clothing in their colour scheme. Currently in 27 colour ways, Further new additions to the range are under review. As well as all the benefits of Papini’s fabric the elite range has the added benefit of an open hem design. This entry was posted in Polo Shirts and tagged polo shirts on 27th July 2017 by admin. A Papini Poloshirt For Businesses That Want to Be Elite! 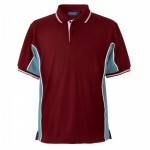 Papini has made several new additions to the Elite range of poloshirt colourways. 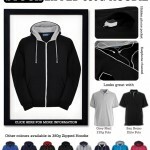 New colourways include the Toscana, which fits nicely with the Wine & Black hoodie. There is the Enna as mentioned below. The Trieste goes perfectly with the purple & Black colourway on the Purple hoodie & finally comes the Luca. Papini’s Zoodies are available to companies, and organisations who want to combine the practicality of the hoodie with a top quality garment. Companies who want a look that helps to professionalise the appearance of their staff will find these an attractive option. The iconic zipped hoodie range will find themselves comfortably at home from the shipyards of Barrow to the Farms of the Solway Plain and the Eden Valley! 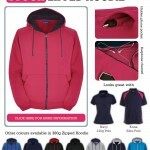 This range has had 3 exciting new colourways added: Fuchsia (that’s pink to you and me!) with Navy contrast, Black with Grey contrast and a Red version with Black contrast. 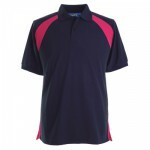 These garments are fantastic as stand alone workwear or leisurewear colours in a wide range of settings. They comfortably span the professional and casual of Cumbria’s organisations and businesses. Not only do they work as standalone items, but Papini have had their designers hard at work coming up with a complementary set of colourways that also mix & match with the Elite range polo shirts in the Enna, Milano, Sienna & Ferrara colourways. 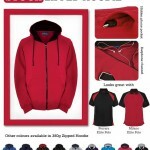 This entry was posted in Hoodies, Polo Shirts, Workwear and tagged Cumbria, embroidered, hoodies, polo shirt, uniform, workwear on 23rd June 2015 by admin. The Italian styled Elite Polo Collection is the perfect combination – stylish two and three colour-way polo shirts that look bespoke but are available from stock. Perfect for teams, companies and schools. Manufactured from 210g, 35% cotton & 65% polyester. Featuring rib knit collar and cuffs with twin raised decorative stripes for style & function. Two button placket with white buttons, Open hem with side vents. The fabric is reactive dyed for colour stability. This will increase the colour range to 27 variations. You can add your own decoration & logos here allowing you to get a full visualisation of how you’ll look. Discounts available! The more you buy, The cheaper we’ll make them! This entry was posted in Polo Shirts, Workwear and tagged borders, Cumbria, North West, Papini, polo shirt, workwear on 10th February 2014 by admin. 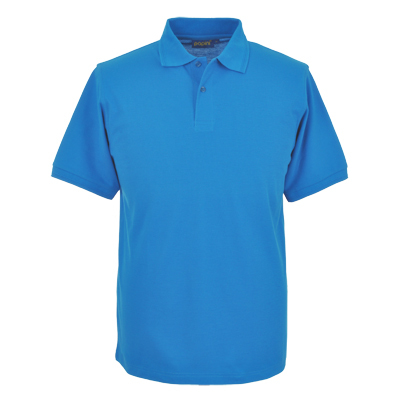 Smart enough to wear with a jacket, casual enough to dress down with jeans, enough colours to kit out most sports teams & clubs in their own colours & a key part of many companies staff uniforms the polo shirts really has it covered for everyone! Stitch & Print have a huge range of colours, Styles & fabrics to suit all requirements & with the added benefit of branding with your company or clubs logos, by either embroidery or print, you can have the image that you want at really sensible prices. It’s commonly believed that the polo shirt came into existence in the 19th Century as a comfortable, garment for British polo players in India who struggled with the climate whilst maintaining a suitable standard of dress for the time. The standard dress shirt was adapted the to make equestrian competition more comfortable and the “Polo” shirt was born! 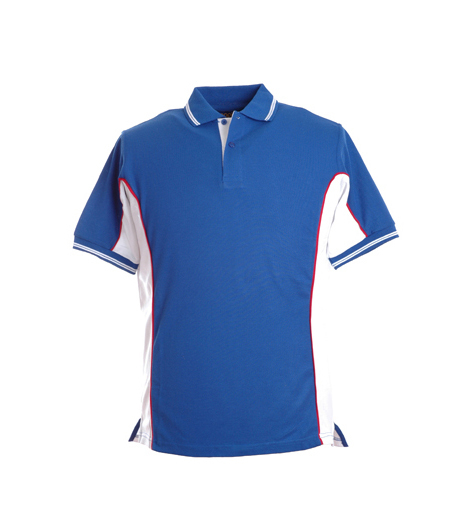 In the late 20th century tennis players adopted the polo shirt, It allowed them to remain smart on court, allowed free movement & stopped players becoming overly hot, Now they are used all over the world for many purposes, and at Stitch & Print we have a style for everyone. Our standard polo shirt comes in 21 different shades, it’s hard wearing, smart & designed to add your branding through embroidery. There’s plenty of room for business & club logos along with sponsors or trade associations as required. Popular points for decoration are both the left & right breast areas, both sleeves & the nape of the neck which all adds up to make a highly effective walking advertising board! It doesn’t have to be all one colour. From contrasting piping to multi coloured panelled styles there’s a huge range of colour options. As well as being ideal for work wear & staff uniforms & clothing polo shirts make for a fantastic present for friends & relatives. We have a huge range of logos & designs, from occupational to recreational which can be personalised to make a great gift be it for birthdays, Christmas, Fathers or Mothers day! Ladies, You might have to wear a uniform, but it doesn’t have to hang like a sack! 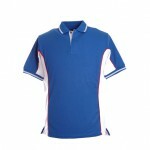 We’ve a range of lady-fit polo shirts as well, Shorter in length & with a bit of fitting where required. The princess detail panelling gives a really smart appearance & the vented hem means they can we worn on the outside of trousers while still looking smart enough for the company image. One of the biggest innovations in recent times has been the development of wicking & moisture management fabrics. These have been game changers for the sports wear markets where the inherent ability to reduce body core temperature & get moisture away from the body makes performance comfortable. The addition of more & more colour options gives both clubs & the individual the chance to differentiate themselves from their opponents. This entry was posted in Polo Shirts on 2nd March 2013 by admin.